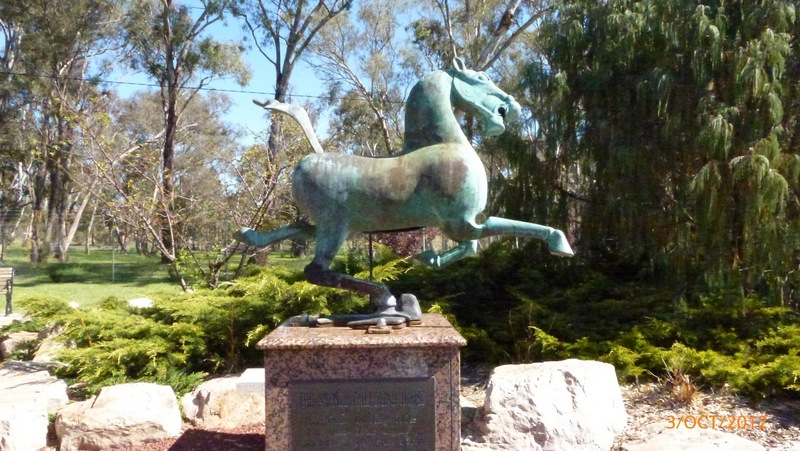 Young is a small town in south west NSW, with a population of around 3,000. We spent a few days in Young as I have a cousin who lives there, so I did explore a little. 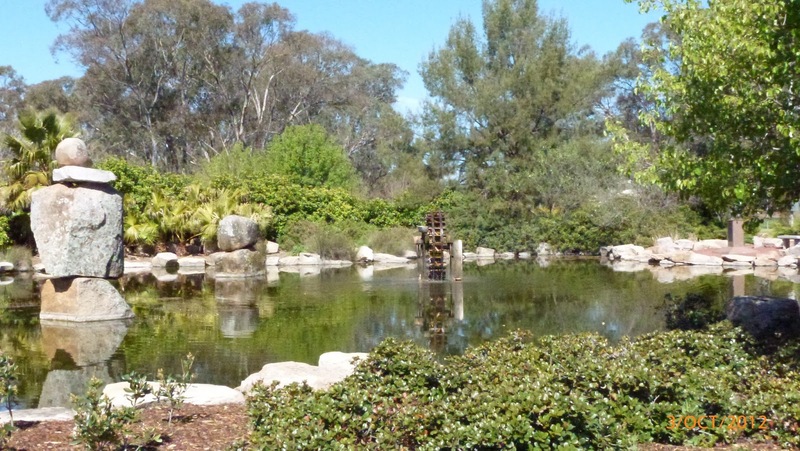 We spent a lovely afternoon at Chinaman’s Dam which is built on the site of a old railway dam and has a delightful garden. The dam was originally built by two Dutch brothers who built it to sluice their Victorian Hill gold claims.They sold the area in the 1870s to the Chinese who worked the area. The gardens are a lovely, reflective spot to walk around. 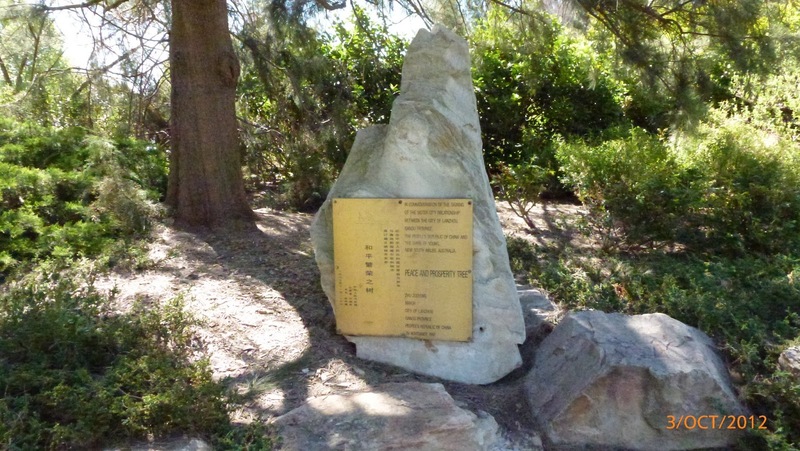 There is a commemoration spot in honour of the Chinese workers who were attacked in the 1860s. Young is also well known for the abundance of cherries and hosts a cherry festival each year. We were a bit early on this last visit, but in the past I have enjoyed the delightful cherries the area is known for. Yackandandah is a very small town in Victoria that we encountered on the road back from Beechworth to Wodonga and Albury before heading back into NSW. The population of the town is less than 700 people. We had a small stroll around the town and coffee and stumbled across a shop that had some very large pieces of furniture, including this huge table. Two questions immediately sprung to mind. 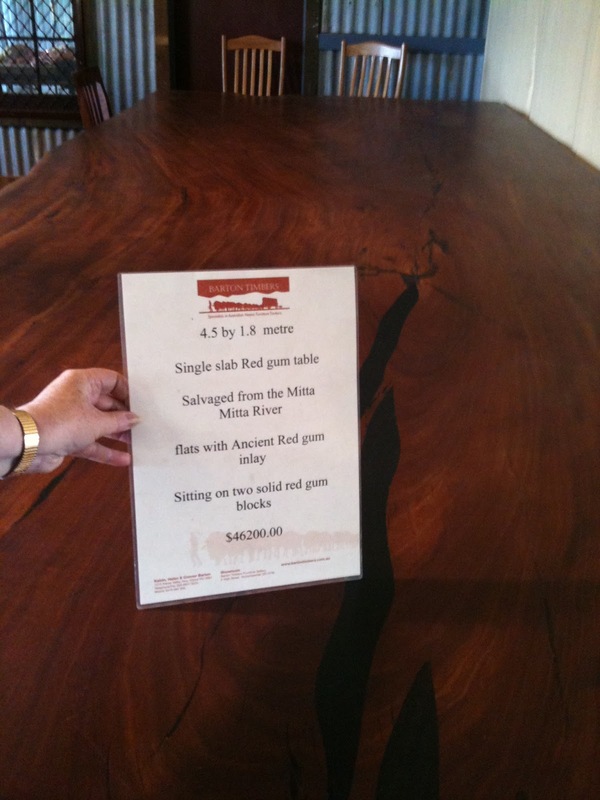 How on earth do you get this table into your home, as the table was all one piece and secondly if this is the size of the table, how big was the tree? This entry was posted in Uncategorized and tagged A-Z April Challenge 2013, Australia. Bookmark the permalink. It was a lovely, quirky town. I have not seen the film Strange Bedfellows, so might have to explore that one! Yackandandah is where Strange Bedfellows was filmed. I love the heritage clothing store and antiques shops there. …and quite a bit of profit given the price tag. It was amazing and we could not believe that it was all one piece, but it was. I loved your photos of the dam. The size of the table is amazing. The tree must have been a giant. I hope it died during the natural course of events. I love trees and wouldn't want to see something so massive cut down for profit.